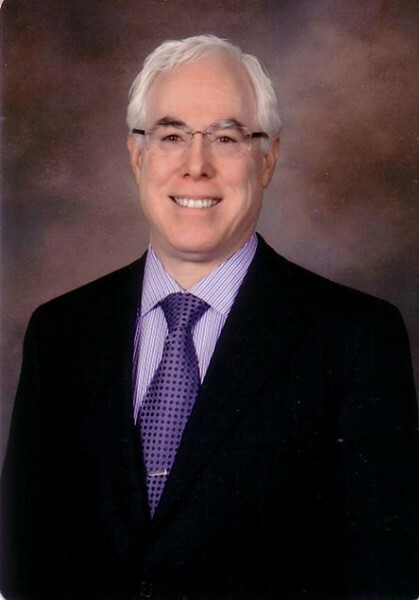 David O'Brien, MD, a former Eureka family practice physician, has officially been given the job of president of St. Joseph Health -- Humboldt County, which includes both St. Joe's and Redwood Memorial hospitals. In a press release issued yesterday, O'Brien, who received his bachelor's and medical degrees at U.C. Davis, said he's happy to be back on the North Coast. "I have a strong connection to Humboldt County – this is where I first started practicing medicine and I raised my family here," O'Brien said. Last year, hospital CEO Joe Mark resigned after six years on the job. His resignation was announced on the heels of 68 layoffs at the two hospitals. O'Brien has been serving as the hospital's interim president since February. St. Joseph Health – Humboldt County is pleased to announce David O’Brien, MD has been chosen as its new President. Dr. O’Brien has been filling the role as interim president since March of this year at St. Joseph and Redwood Memorial hospitals. In the few short months Dr. O’Brien has been in Humboldt County, he has made a significant impact. Dr. O’Brien has set very high standards for the local ministries and has brought tremendous energy in achieving the highest standards of patient safety and experience. His effective communication skills have already been visible within both the ministries and our community. A familiar face on the North Coast, Dr. O’Brien began his clinical career as a family practice physician in Eureka in 1988. In 2000, he completed his master’s degree in administrative medicine from the University of Wisconsin which allowed him to take a path outside of clinical medicine and into management. He has held numerous positions over the years and most recently comes from St. Mary Medical Center – a ministry of St. Joseph Health in Apple Valley, California. At St. Mary, he filled roles including VP of Medical Affairs and CMO, Senior Vice President and COO, and Interim President and CEO. Dr. O’Brien received both his bachelor’s degree and medical degree from U.C. Davis. “I’m excited to be back on the North Coast to continue working in health care, and this time in a new capacity,” Dr. O’Brien said. “I have a strong connection to Humboldt County – this is where I first started practicing medicine and I raised my family here. I am proud of the service and quality of care St. Joseph and Redwood Memorial hospitals provide for our community and I’m proud to be here helping to guide the future of health care for the North Coast,” added Dr. O’Brien. Dr. O’Brien is a proven leader who keeps St. Joseph Health’s mission and values at the forefront of his actions and decisions. He prides himself on being engaged and visible, interacting with staff, creating meaningful and lasting change, and making patient care a top priority. His years of experience and knowledge of St. Joseph Health will provide for a seamless transition for St. Joseph and Redwood Memorial hospitals.